This past week my cousin, Nikki came to stay with us. I wanted to make sure we were stocked with all the essentials for her. Nikki is very special to me, a “Best Person” at my wedding last year and now she is a new mama. 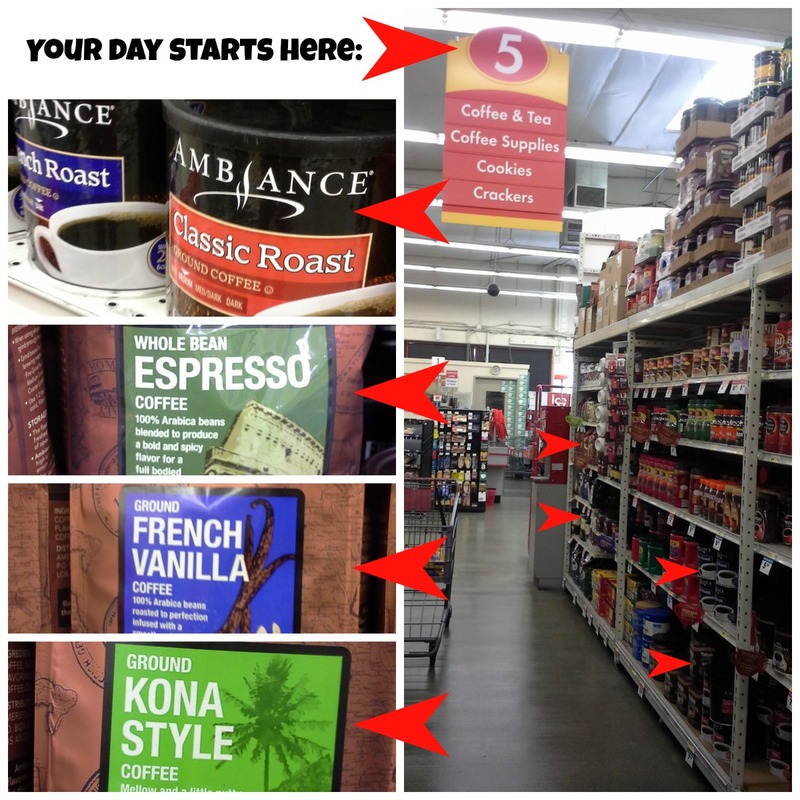 With a two month old girl named Hope consuming all of her time, her idea of good java has been chain coffee houses and their sugary drinks with cutesy names, or in paper cups while getting gas. This new mama needed some pampering so I sprang into action by swinging by Smart & Final for Ambiance Coffee and some baked goods. I wanted to celebrate Nikki becoming a new mom. I prepared her a little gift basket with all the essentials that included truly great coffee for a truly great way to start her day. Along with Ambiance coffee (the biggest size I could find!) I got her some muffins, bagels and jam. I could tell she appreciated the gift basket, especially good quality coffee. But, that wasn’t enough. I wanted to make her a hearty breakfast. I picked up some tamales and pan dulce from a local panaderia for a big breakfast spread. Then I made some champurrado, which is one of the oldest beverages in Mexico and uses two of the main ingredients indigenous to the Americas: cocoa and corn. In parts of East Los Angeles, you’ll find vendors selling champurrado on the streets or in small bakeries. During the holidays I canvas the city for the perfect cup of champurrado. I am mostly pleased from what I taste, although each cup has a slightly different flavor and texture in sweetness and thickness from the masa. I discovered I prefer making my own. And with Ambiance coffee to spare, I decided to experiment with my champurrado recipe by substituting coffee for the water. The result was a thick, velvety champurrado with all the warm spices of my original recipe, but with the light aroma of coffee. Since Nikki likes her pumpkin spiced lattes so much, I made her my version: Pumpkin Spiced Champurrado. 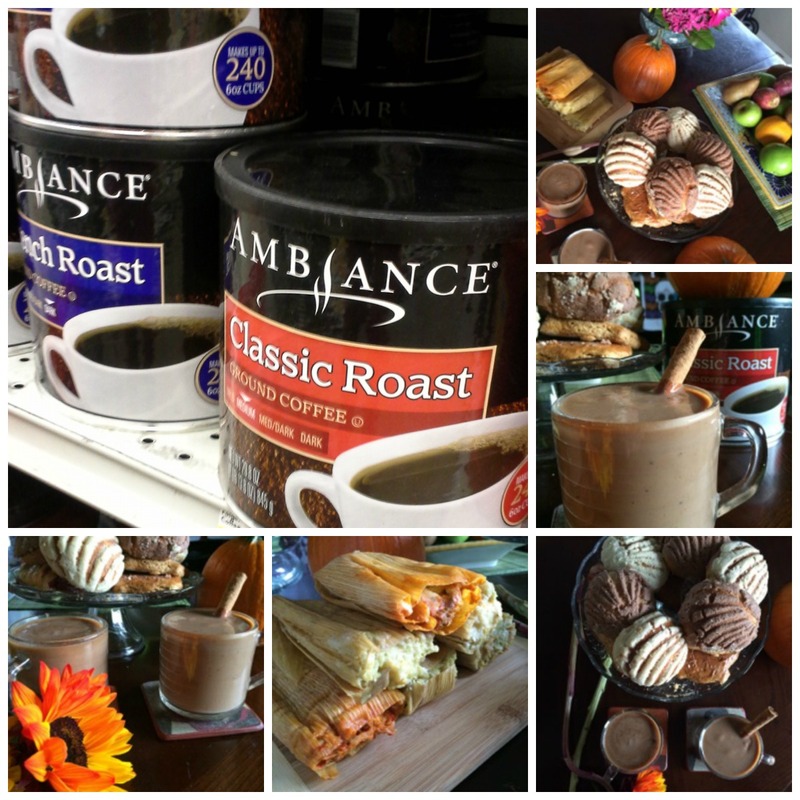 And now between October 15-28th Smart & Final will be giving away 10 coffee makers and 10 $100 gift cards to customers that purchase Ambiance products and enter the code from their receipt on the sweepstakes site at smartandfinal.com/2014Ambiance. Now there is no excuse for not enjoying your morning coffee. 1 teaspoon pumpkin pie spice, plus some for dusting. 1. Combine the masa harina with the 1 ½ cups coffee and the canela in a medium pot and cook over medium heat, stirring with a whisk, until it dissolves and begins to bubble. 2. Add the milk, chocolate, piloncillo, molasses, and star anise. Bring the mixture to a simmer, stirring until everything is melted and blended together. 3. Discard the canela and star anise. Serve as is or strain it if desired. 4. Serve the hot champurrado in coffee mugs, dusted with pumpkin pie spice to taste or whipped cream. Note: The longer the champurrado is simmered, the thicker it will become. Simply add some more coffee or milk to reach the desired consistency.